There is no doubt that being out of school in the summer months can affect your child academically. The concept, sometimes called summer slide, can have a significant impact on students. 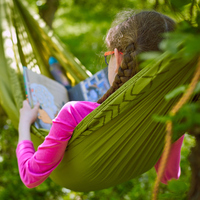 However, children also need a break from school, and summer should be a time when they can relax, recharge, and get ready to start next school year strong. It can be hard to find ways to strike a balance between school and life for your student, but tips to help your child maintain school-life balance include helping them enjoy organic learning, using community resources, and rewarding hard work. One of the best things you can do for your child this summer is help instill a genuine love of learning in him or her. Standard school subjects might not always be the most engaging for every student, but each child has hobbies and passions that spark his or her interest. Use your student’s interests to combine learning and enjoyment. For example, have her use at-home technology to learn new facts about a subject of her choice each week. You can also spend time with your child in mock school scenarios, where you play the student while he teaches you the new things he’s learned. This can help your child feel like the expert! points programs with prizes to help incentivize reading. Along with libraries, community centers and schools may also be spaces that offer productive fun for students over the summer. Check to see what’s around where you live. Being involved in a library’s summer reading program or a community center’s extracurricular activity can help your child make friends while still maintaining academic skills. In an ideal world, fun and school would always go hand-in-hand. However, since there will be times that your student might need to practice school skills that he or she doesn’t enjoy, it can be helpful to use a timed schedule that your child is aware of in advance. For older students, you can explain the importance of practicing skills over the summer, and then ask them to help you set a work/play schedule. For younger children, a realistic schedule might be a given number of pages that they should read out loud to you before using toys and technology. Timed schedules work well for all ages. Set a timer with a no-distractions policy whenever it’s ticking. Instill responsibility by having your student mark off each day on the calendar that he or she successfully finishes some school work. Also ensure that you don’t push too hard outside of this schedule. Play time begins as soon as the timer goes off! Summer is a time for fun and play, but it can also be a productive time for students to practice the skills that they’ve learned in school. These tips can act as a starting point for maintaining school-life balance that will leave your child feeling refreshed and ready to go when school starts in the fall! University of Akron Main Campus, Bachelor of Chemistry, Chemistry.